Alex Schneidman and his leafy costar rehearse for the upcoming production of “Little Shop of Horrors.” Dolphin Show will take the production on tour to Bosnia and Herzegovina this Spring Break. The Dolphin Show will be bringing its 75th annual show, “Little Shop of Horrors,” to Bosnia and Herzegovina this Spring Break. The tour is part of the U.S. Embassy’s cultural diplomacy program with Bosnia and Herzegovina, a program that facilitates cultural exchange between America and the southeastern European country, according to the program’s website. This will be the first time a production of “Little Shop of Horrors” will be brought to Bosnia and Herzegovina, according to a news release. Communication senior Janie Dickerson, the company manager of the group, said she could not find any documentation of the Dolphin Show ever touring abroad. Elizabeth Blumenthal (Communication ’92), assistant cultural affairs officer at the U.S. Embassy in Sarajevo, Bosnia and Herzegovina, reached out to the Dolphin Show in early December about bringing the show to the country, said Weinberg senior Bailey Sutton, one of the show’s producers. Sutton said Blumenthal, a Northwestern and Dolphin Show alumna, had envisioned bringing a production of “Little Shop of Horrors” to Bosnia as part of the cultural exchange program and found out that the Dolphin Show was coincidentally performing it this year. In addition to performing, the students will also be conducting workshops with Bosnian theater students, Sutton said. During the workshops, NU cast members and Bosnian students will perform and then provide feedback to each other, Sutton said. 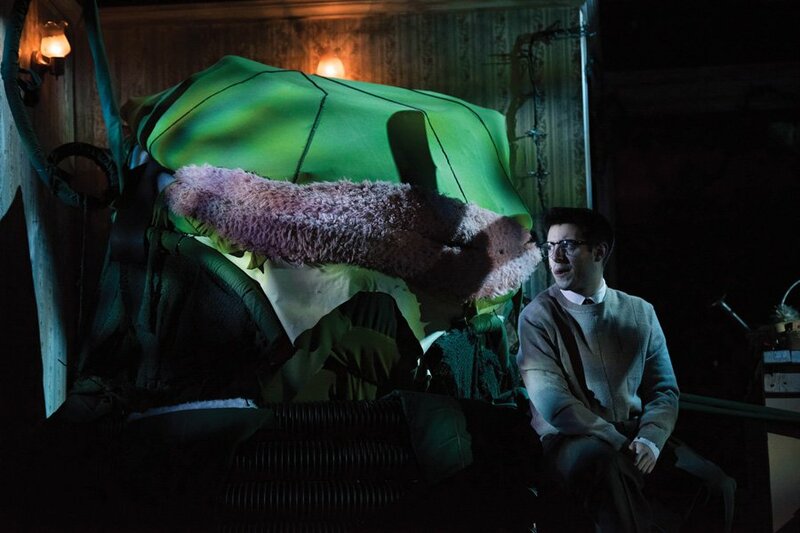 “Little Shop of Horrors” is an ideal show to bring abroad due to its flexibility in bringing the production to various types of stages, Sutton said. The show will be performed in several different venues while on tour, from a classroom setting to the Sarajevo National Theater, Dickerson said. The show itself is a perfect fit for touring because it can be “as small or as large as you make it,” Dickerson said. Additionally, “Little Shop of Horrors” was envisioned as a show to bring to Bosnia through the cultural exchange program because of its characteristically “American” language and characters, Sutton said. The choreography and blocking of the show will remain similar to the original January production, Dickerson said, but many aspects of the show had to be reworked to facilitate a smaller cast and crew for a “scaled-back” version of the show. Whereas the original cast had 20 members, the touring cast only has nine — including four new cast members and two former cast members in different roles. The group will perform in four cities: Banja Luka, Doboj, Mostar and Sarajevo, Dickerson said. Communication senior Brianna Dorn, a member of the original cast and one of the touring cast members, said she is excited to see how the show is received in the country.